Single flower of Wild Blue Phlox. Also known as Wild Sweet William, Wild Blue Phlox is a favorite spring wildflower which gives bright splashes of color to the woodlands. 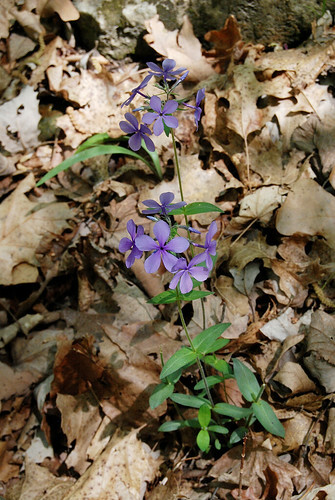 Growing best in the dappled shade of the woodland borders and preferring well drained ground, you often see Blue Phlox decorating the edges of trails. You might notice that these pictures are not all blue. 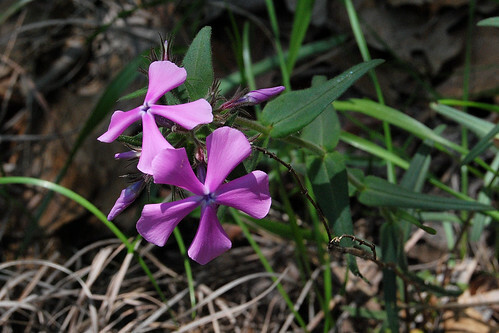 That’s because Phlox divaricata is highly variable in its coloring ranging from pink to rose to purple to blue, even in areas of close proximity. Bright blue example of Wild Blue Phlox. This is the most commonly seen color. 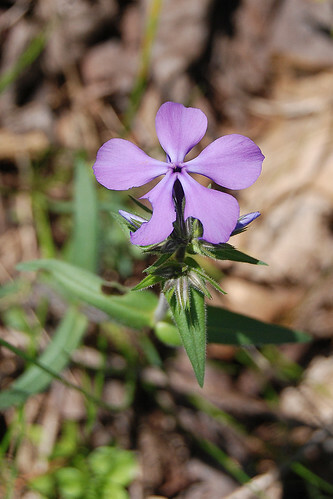 A rose colored individual of Wild Blue Phlox. 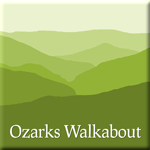 Read more about Wild Blue Phlox. 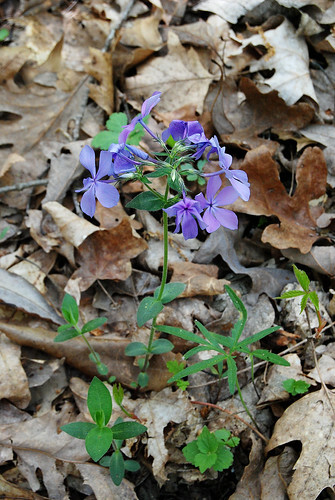 Another blue colored example of Wild Blue Phlox.